The CATCH restaurant at Thompson Playa del Carmen. We’re sampling four savory stays around the globe where your clients can get a taste of the good life. Last November, Thompson Playa del Carmen made its debut in Playa del Carmen, Mexico, followed closely by the January 2016 opening of its 27-guestroom and -suite oceanfront Beach House located a few blocks away. 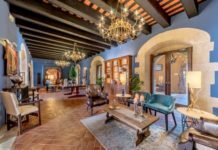 Between the two properties there are three distinct restaurants helmed by executive chef Pedro Abascal, a native of Mexico. 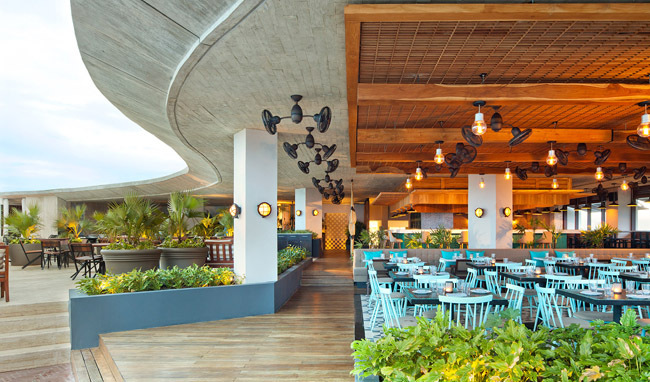 CATCH Playa del Carmen, the first Mexican outpost of the New York City-based sea-to-table dining and nightlife concept, and Cinco, a Mexican-inspired casual eatery, are both located on the main hotel’s rooftop opposite each other. At the beach-chic CATCH, guests dine on a mix of menu items from the New York City flagship restaurant as well as dishes unique to Mexico, including the restaurant’s signature cold items such as the tartar trio, truffle sashimi and toro tartar. CATCH features a covered open-air dining room, an outdoor terrace overlooking downtown Playa del Carmen and the Caribbean Sea, and a private 525-sq.-ft. dining alcove available for reservations. When dinner service ends, CATCH transforms into an eclectic music space featuring nightly entertainment from local and international DJs. Next door, Cinco serves up Mexican dishes for breakfast, lunch and weekend brunch in an open-air dining venue inspired by honey, which chef Abascal sources for menu items such as fresh smoothies from nearby Tulum. Think honeycomb-shaped ceilings complemented by beehive-like rattan swinging lanterns. C Grill, a casual, beachfront restaurant adjacent to the Beach House, offers light, Mediterranean-inspired cuisine for breakfast, lunch and dinner daily. Chef Abascal sources fresh tomatoes from Tulum for C Grill’s heirloom tomato salad and fishes with his team of fishermen every morning for the restaurant’s catch of the day. In addition to mescal tastings, C Grill hosts weekly events, including make-your-own ceviche classes taught by chef Abascal, and a homemade sangria workshop led by a mixologist. 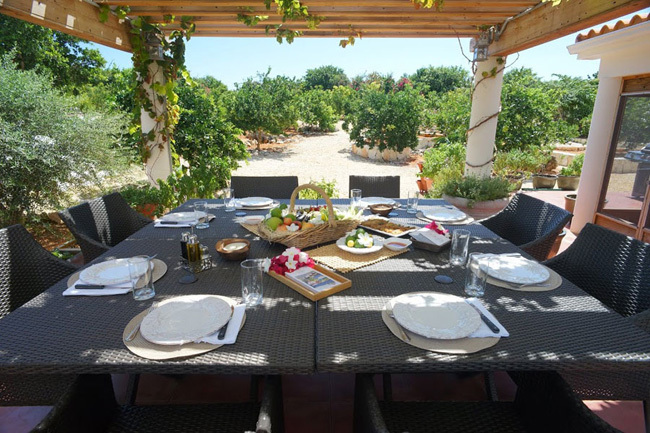 Chef Abascal also hosts an interactive dining event, Privada House, where guests taste the catch of the day and pair dishes with exclusive wines grown from chef Abascal’s personal vineyard. Regular room rates start at $250 per night. 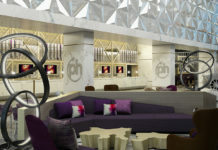 For more information, call ￼￼￼￼￼ ￼￼￼￼￼￼￼￼￼￼(844) 823-8100 or visit thompsonhotels.com/hotels/thompson-playa-del-carmen. For a Cayman Islands beachside farm-to-table experience, recommed Le Soleil d’Or on the pristine, 14-sq.-mile island of Cayman Brac, so named for its breathtaking 140-ft. bluff. Le Soleil d’Or opened 10 years ago for vacation rentals, but has since expanded into a hotel featuring four luxuriously appointed Beach Cottages and four Beach Houses with private pool and beach access. The heart and soul of this ultra-exclusive hideaway is a 20-acre organic farm located on a limestone bluff overlooking the main grounds, where over 20 types of fruit, vegetables, flowers, and herbs are grown for use at Le Soleil d’Or’s two restaurants. The produce is also used in spa products and in-room amenities. In addition, Le Soleil d’Or’s state-of-the-art kitchens are stocked daily with freshly harvested fruit and vegetables, plus handmade yogurts, cheeses and breads. Private chefs are available for guests; however, your clients do have the option to get their hands a little dirty during chef-led cooking sessions. Le Soleil d’Or offers 20 percent commission on all bookings, as well as FAM trip opportunities. Rates in a Standard Suite start at $320 per night in the low season (May 1-Oct. 31); $400 per night during the high season. Nightly rates include complimentary WiFi; kitchen amenities (eggs, juice, yogurt, cheese, fruit, vegetables and baked goods and continental breakfast); a private island tour of Cayman Brac; a Le Soleil d’Or farm tour; access to the resort’s Beach Club, fitness center, tennis and basketball courts; complimentary non-motorized watersports and airport transfers. For more information, call (888) 998-0521 or visit lesoleildorcayman.com. 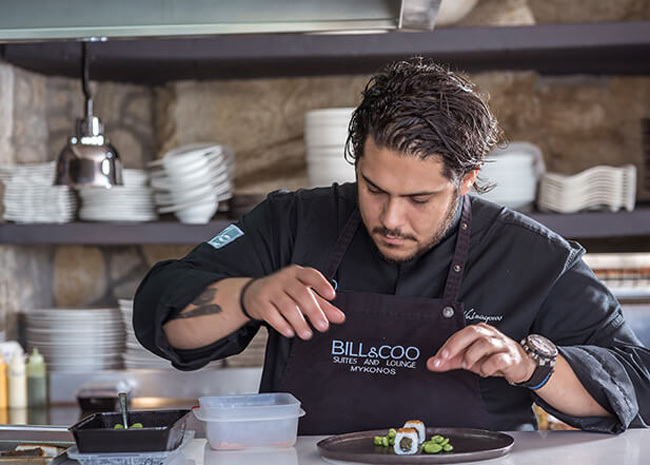 Bill & Coo Suites and Lounge and Bill & Coo Coast Suites’ executive chef Athinagoras Kostakos. This May, Bill & Coo Suites and Lounge, a Leading Hotels of the World member in Mykonos, Greece, is opening Bill & Coo Coast Suites, also located in Mykonos, in celebration of the brand’s 10th anniversary. While the luxurious seaside property, nestled on 10 acres above the golden shore of Agios Ioannis, features 14 well-appointed suites, each with its own balcony overlooking the Aegean Sea, a spacious terrace with a pool, and postcard-worthy views from every suite and public area, it’s the gourmet Mediterranean gastronomy from the hotel’s awarded executive chef Athinagoras Kostakos that your clients should look forward to most. I had the pleasure of sampling chef Kostakos’ culinary masterpieces during a press luncheon last month and my taste buds are still singing his praises. Chef Kostakos studied culinary arts in France, but Mediterranean dishes are his speciality. “I do Greek food, but not the old school Greek that you know,” said Kostakos. His dishes are a unique take on traditional Greek recipes. For instance, chef Kostakos took the classic Greek soup avgolemono (chicken and rice in an egg-lemon sauce) and substituted the chicken for Chilean sea bass and mussels in what could only be described as a seafood lover’s dream. Your clients can experience chef Kostakos’ handiwork at Bill & Coo Coast Suites’ onsite tavern, plus before or after dinner drinks at the hotel’s bar and lounge. Additionally, a beach menu, 24-hour en-suite dining, and to-go breakfast picnics are also offered. 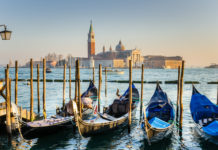 To get there, your clients can fly directly into Mykonos Island National Airport (JMK), or catch a connecting flight to JMK from Eleftherios Venizelos Airport (ATH) in Athens. The island is also connected by sea via the ports of Piraeus and Rafina. A high-speed ferry from Rafina can also get them to Mykonos in approximately two hours and 45 minutes. Regular room rates at Bill & Coo Coast Suites start $429 per night. For more information, visit bill-coo-hotel.com/coast. Grace Bay Club’s pop-up restaurant Kone serves savory and sweet bites at Grace Bay Beach in Providenciales. Grace Bay Club, a five-star luxury property in Providenciales, Turks & Caicos, recently announced the opening of its new pop-up restaurant, Kone. 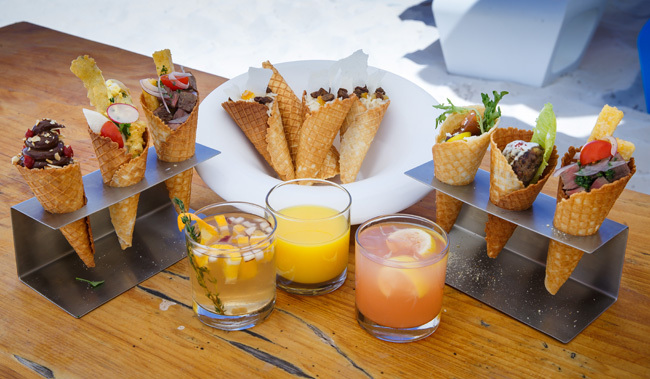 The luxury resort, located directly on Grace Bay Beach, is continuing its successful pop-up restaurant series with the introduction of a unique culinary concept—savory and sweet bites served in cones. Wolfgang von Wieser, group director of food and beverage for Grace Bay Resorts, curated the playful menu, which offers an innovative spin on contemporary Caribbean cuisine using combinations of fresh fish, local spices and comfort foods. Menu highlights include Turks & Caicos lobster, spicy ahi tuna tartare with juicy pear, and prime Angus beef with polenta fries. For dessert, guests can indulge in valrhona chocolate mousse with fresh raspberries, and grand marnier rice pudding with candied orange and cinnamon raisins. Additionally, Kone offers a selection of local and international beers, wines and cocktails, including spiked sangria, provo swizzle and blueberry lemonade. Each year, Grace Bay Club updates its restaurant space to reflect its new pop-up concept. Kone features an open-air layout with views of Grace Bay Beach and a bar ideally situated within a palm-tree-leaf thatched hut adjacent to a lounge area with oversized sofas. Kone is open daily from 11 a.m. to sunset through November 2016. Regular room rates start at $640 per night. For more information, call (800) 946-5757 or visit gracebayclub.com.